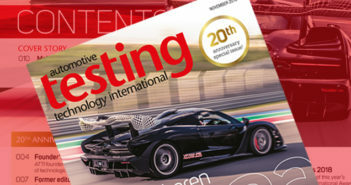 You are at:Home»Industry Opinion»How real should real-world testing be? How real should real-world testing be? Those who don’t have a penchant for clattering things probably shouldn’t become test engineers. Causing a car to thunder down a track or into a wall, or delivering a violent wallop to a seat, is the province of a certain type of engineer. And I say that with admiration and a little jealousy. This being so, I am never surprised when test engineers explain to me the virtues of real-world testing over virtual testing. However much fun it is building architecture, writing algorithms and watching spikes appear on a screen  not much when you put it like that  there has to be more enjoyment to be had from real tests where loud noises occur, assets move at speed and damage ensues. 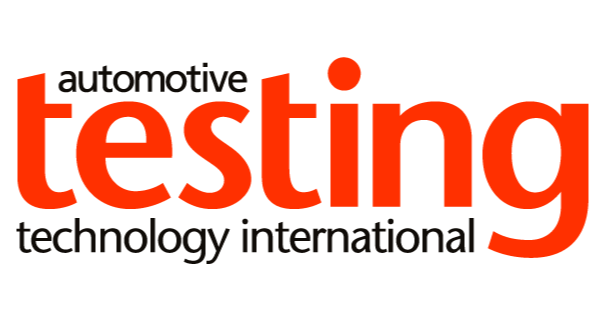 Nevertheless, car makers espouse the greater efficacy of virtual testing all day long, and indeed into the night, as long as the cost of vehicle development is unaffected. More interesting issues arise when you replace the ‘real or virtual?’ debate with one about ‘if real, how real?’ Back in the day, some test labs used human cadavers. It is well documented that they were both cheaper than test dummies and better representative of human biomechanics. But the PR implications were considered unmanageable. Some companies had a fling with the use of animals, but that was flawed in other ways, primarily concerning reliability. You might establish with confidence that a passive restraint system won’t keep a medium-sized pig in situ in a 50km/h collision, but until the porcine population start driving cars the data won’t be overly helpful, unfortunately. Many creative permutations have been attempted to stretch the envelope. Ford had the novel idea that, rather than propelling cars at walls it would launch weighted shopping trolleys into test vehicles. But though such ingenuity is to be applauded, in the end automotive testing comes back to intelligent dummies. Recently, however, a test house in Austria unwittingly took the obvious next step by using a live human. This arose when a test engineer decided that it might be a good idea to sit on the equipment and get a colleague to launch it. What part of this idea seemed good, is not clear, but credit is due for having an authenticity culture in the lab. Unfortunately, our subject was dealt a pretty severe blow and suffered head and facial injuries. Can the injured test engineer sue the lab? Probably not. In most jurisdictions – although I can’t speak for Austria  employers and others have access to a defense based on the quaint Latin maxim: Volenti non fit injuria. Literally translated this means: To a willing person, injury is not done. Can anyone sue anyone? Again probably not, but that’s not to say that no blame will be apportioned. We live in a health-and-safety conscious world, where risk assessments are routine and employers are expected to provide a safe working environment. It’s hardly surprising then that the local police have launched an investigation into the actions of the participating colleague who, let’s face it, probably knew it wasn’t going to end well. This experiment in the human or dummy debate has ended with one engineer in intensive care and another at risk of being incarcerated. Maybe it is better after all to use an intelligent dummy rather than a not-so-intelligent test engineer.